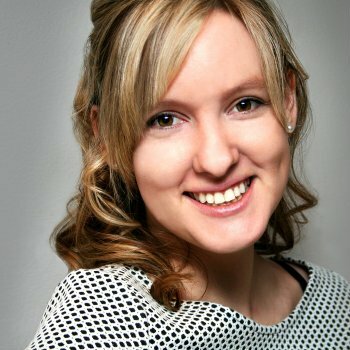 President and co-founder of Agnes+Day Inc., Melissa Agnes has developed an international reputation for crisis management, planning and training by helping large global brands prevent and manage a wide range of corporate issues and crises. Her client list includes government agencies, cities and municipalities, healthcare organisations, energy companies, global non-profits, financial organisations, the public and private sectors and many others. Fluent in English and French, Melissa has spoken to organisations and audiences including NATO, Ministries of Foreign Affairs, Ministries of Foreign Defense, Ministries of Health, Oil and Gas Associations, CPRS and other non-profit organisations, as well as a wide range of private and public companies, universities and non-profit organisations. She has been honored to share the stage with members of the Ukraine government and the International Committee of the Red Cross. Click here to learn more about hiring Melissa as a speaker for your next event. Melissa is an international and sought-after speaker and guest-lecturer. Melissa is a regular guest on Montreal’s leading morning radio talk show, CJAD, where she is referred to as “the official crisis manager of the Tommy Schnurmacher show”. She has been interviewed and published about in publications including VIBE Magazine, USA Today, Tech News World and more. Melissa is the editor of the highly acclaimed Crisis Intelligence Blog, and the host of the internationally recognized Crisis Intelligence Podcast. Published regularly and followed by different government agencies and Fortune companies alike, the blog and podcast provide insights to help organizations manage issues and crises in today’s connected and real-time world. Melissa was named by CyberAlert as one of “the 30 top most influential bloggers in public relations”; and her blog was ranked sixth of the “60 of the best Public Relations blogs in the world” by Inkybee. When she isn’t managing crises or speaking in front of an audience, Melissa enjoys adventuring around the world (often on a sailboat), snowboarding, yoga and sipping champagne in good company.